We occasionally review sites that we have launched for our clients. When we do so, we will place them in this category. There are 48 posts filed in Tornado (this is page 2 of 12). 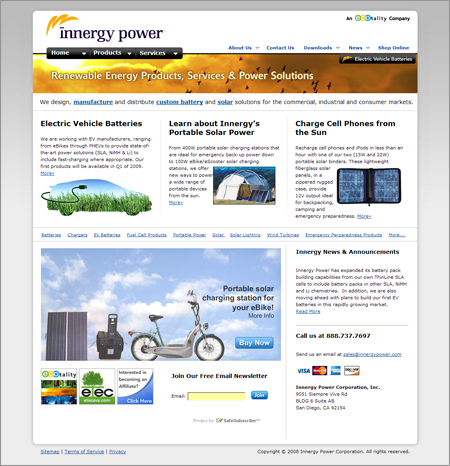 We recently redesigned the Innergy Power web site here at Tornado. We didn’t do the underlying code, but we did the site design. It has been awhile since we updated you on our progress with our web application. We’ve had a number of setbacks. Hired developers only to have them leave, and more. For the last several months we’ve really gotten on a roll with development. We’ve taken it upon ourselves to develop the product forgoing any outside developers who come knocking. Now, we’ve come up with a name we’re happy with. It’s Minuteglass. It’s like “hourglass” but for minutes. Get it? We like it and we’re working on logos and also working on the product. The product is coming together faster and we’re excited to release it. At this time we don’t have an ETA. Stay tuned! I’ll be speaking at Refresh Phoenix in September and giving a talk called Marketing for Web Apps. What’s it about? 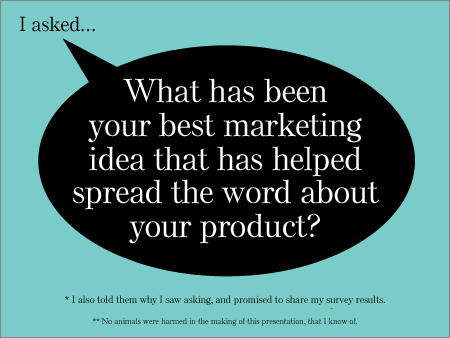 It’s a review of marketing efforts that have worked for other web app companies mixed with marketing topics and ideas geared especially for people who need to spread the word about their web application, software, or web site. It includes marketing insights which I have personally received from the founders of Campaign Monitor, Brightkite, Dogster, Geni, JumpBox, Viddler, Tumblr, JotForm, Harvest, SmugMug, Ma.gnolia, Beanstalk, Wufoo and Cashboard. Not to be missed! If you live in Phoenix, be sure to come! If you live in Phoenix you should come to MarKamp! It’s going to be awesome. 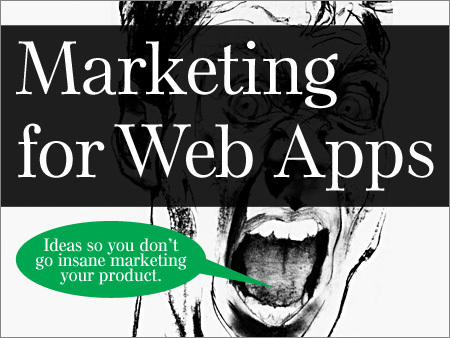 I have a really neat presentation called Marketing for Web Apps which is brand new and includes marketing insights which I have personally received (in the last 24 hrs) from the founders of Geni.com, JumpBox.com, Viddler.com, Tumblr.com, JotForm.com, HarvestApp.com, SmugMug.com, Ma.gnolia.com, BeanstalkApp.com, Wufoo.com and GetCashboard.com (and I am even waiting on a few more). Not to be missed! In addition, Hamilton Wallace from Wallace Resources in Scottsdale will be presenting on the importance of getting your message right.